One of the biggest concerns for modern businesses is generating blog subscribers. In this article, we outline everything you need to know about generating blog subscribers, from proven technques and actionable tips to a detailed strategy to 10x your email list growth. I'm not one for labels, but who doesn't love being known as a "regular" at their favorite restaurant? They know your name, they know your order, they continuously satisfy your cravings, and in return, you keep coming back for more. What I'm trying to say is take the time to get to know your audience. Make note of the content they respond well to, the content they like to consume, and supply them with more of it. It's a simple recipe for success. It's important, however, that you recognize that there's a bit more to it than just throwing a form field on the page. With that said, we've compiled a list of some of our favorite techniques to inspire your efforts and help you start generating more subscribers today. One proven technique to generate blog subscribers is to guest blog on more highly-established or trafficed websites/popular publications in your niche. Below is an excerpt from HubSpot's article sharing 20 simple ways to boost blog subscribers. Pamela Vaughan is the blog manager for the HubSpot Inbound Marketing Blog, which has more than 57K subscribers. You can read more of Pamela's content on inbound marketing by subscribing to the HubSpot blog here." 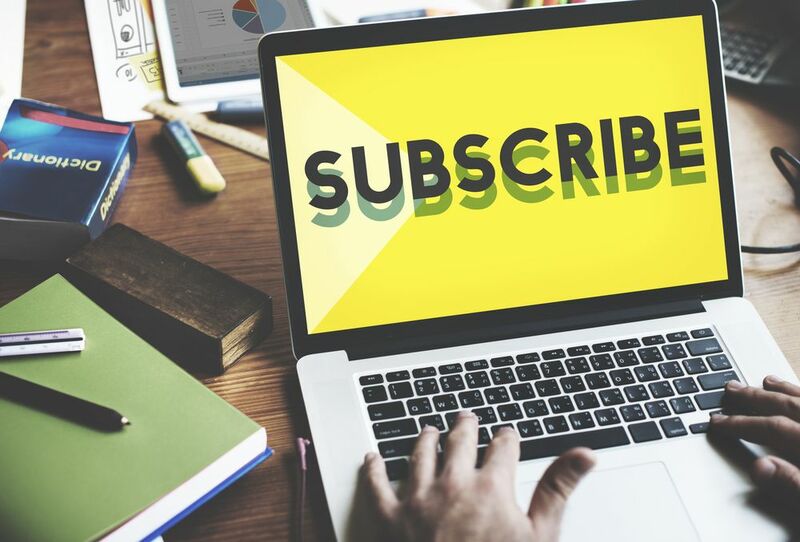 Rather than scramble to drive traffic to a subscription page, consider the benefit of creating blog subscribe opportunities on your top 5 traffic-driving pages. By "gating" the pages that people are already visiting regularly, you're going to get more eyes on your call-to-action (CTA), and in turn, generate more subscribers. Don't know what your top 5 most visited pages are? HubSpot users can easily uncover this information by visiting the Page Performance tool under the Reports tab in the main navigation. Sure, you're generating some blog subscribers right now, but could you be generating more? It's tough to tell if you live and die by a single approach, which is precisely why you should be A/B testing. A/B testing the elements that contribute to turning blog visitors into blog subscribers has the ability to reveal insights that could double, maybe even triple, your current standings. Copy: Like the insulation blower example we highlighted above, it's no secret that small content tweaks have the ability to produce big results. Color: Choosing the most effective color for your call-to-action shouldn't be a decision you make based off personal preference. While you may love purple, a comparative test could reveal that orange is, in fact, more effective in terms of grabbing attention. Social proof: Want to boost the credibility of your claims? Incorporating a bit of social proof (i.e: Join 10,000 other subscribers) in one variation may help to boost conversions by alleviating the fear of being first. Contrary to popular belief, people do scroll, but according to a 2010 study, web users spend 80% of their time above the fold, and just 20% below. If your only subscribe option is below the fold, you might be missing out on opportunities. To determine how our readers were divvying up their time, we used CrazyEgg to generate a heap map of one of our blog posts. As you can tell, engagement drops off significantly towards the end of the post. So while the recency effect states that people are apt to remember the last thing they see on a page, they often times never even make it that far. To combat this, we incorporated a subscribe banner at the very top of the page to capture email addresses where the eyeballs are. Generating new subscribers requires you to position your content in new places where new audiences can consume it. Many businesses fail to recognize that writing an article doesn't automatically warrant a share. I mean, anyone with an elementary education can string together some sentences, right? In order to get your content out to a new audience, you have to create something that's not only worth sharing, but easy to share. We call upon the tool Click-to-Tweet as a way to create content that can be shared with little to no effort required. Simply click the button next to the stat, tip, or quote and it's sent off to their network. This simple CTA helps them to expand their reach beyond their existing list of subscribers by simply asking for a share. The more opportunities you create for your business to gain exposure from new, relevant audiences, the easier it will be to drive new potential subscribers back to your blog. What better way to find out what type of content your audience wants to read than to ask them straight out? No guesswork, no investigation, just the truth. Lucky for you, we've found the perfect tool to do just that, Three Cents. According to their website, "Three Cents is an iPhone application that allows users to quickly create polls and gather opinions from anyone." We emailed this quick poll to our blog subscribers and we were able to extract some valueable insights in regards to the content that people really want to see. Our thought process being that if we're certain that the content that we're putting out is speaking to the wants and needs of our existing subscribers, we're ultimately positioning ourselves to attract more subscribers like them. The copy that you employ on your blog subscription CTA has a heavy influence of a visitor's decision to hand over their email. In order to convince them that your content is something they won't want to miss out on, you need to find a way to demonstrate the unique value of your content. If you're unfamiliar with the term, social proof refers to the concept that people are more willing to carry out an action when they are assured that others have approved it. Often times, this demonstration serves as the validation people need to take the next step on your website. The featured tweets section on our Website Throwdown page helps assure visitors that others are extracting value fromsubmitting their sites for critique, and they will too. The best way to build social proof, which is also the most challenging way, is to connect with influencers and get them to promote your content. If your website has too much going on, it's difficult for your readers to stay focused on what you want them to focus on. By removing all distractions, it's easier to guide readers to your email list. 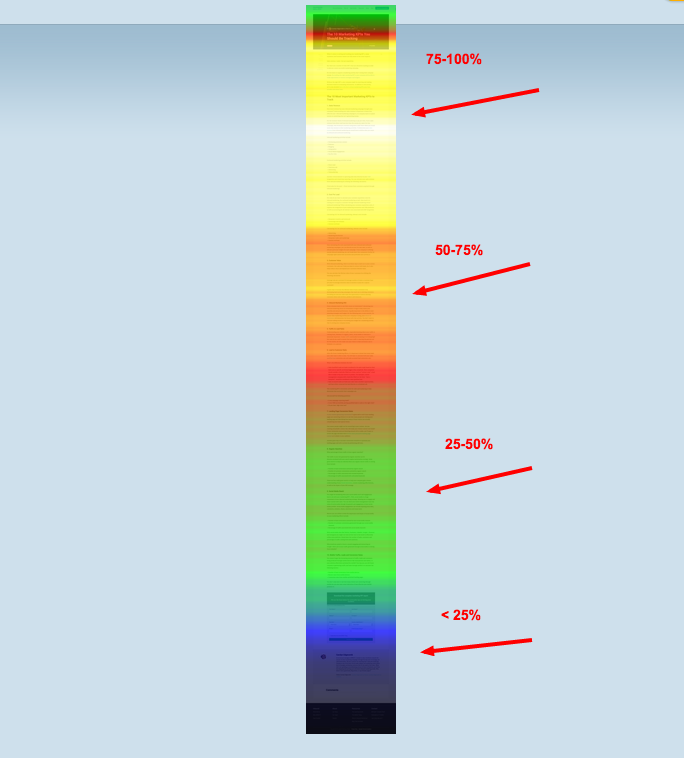 If you have a sidebar on your blog, for example, how is that affecting your conversion rate? What about user experience? Marketers at a number of different companies -- including HubSpot -- have reported that sidebars on their blogs are actually a big distraction for their readers. Here at IMPACT we removed the sidebar in 2014 and experienced a 71% increase in conversion over the performance of our old sidebar CTAs. 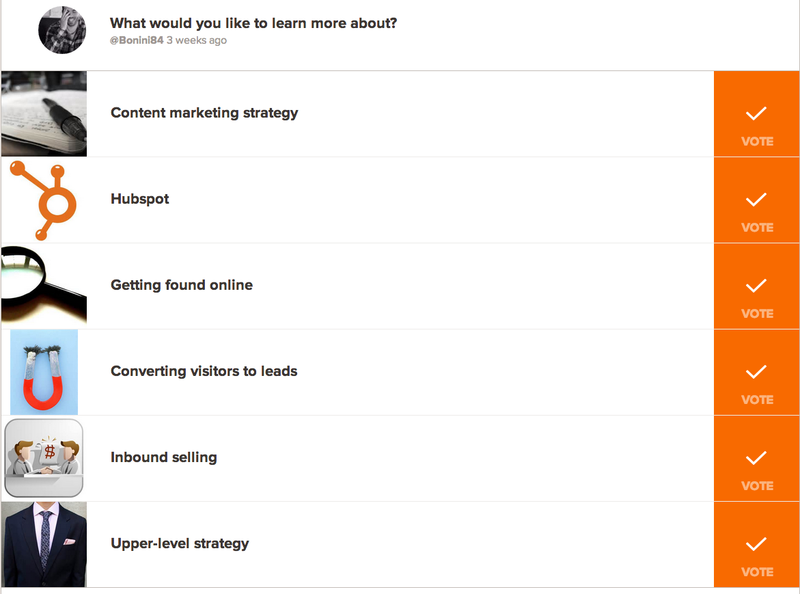 Not long ago, HubSpot also removed the sidebar from their blog. After using heat maps to see user activity, they discovered that people weren't using it very much at all. Although the sidebar does serve a useful funtion, it doesn't matter if people aren't actually using it. Otherwise, the sidebar is an unnecessary distraction. Below we're going to cover everything you need to know to get your first 1,000 subscribers quickly, as well how others have 10X+ their email list using conversion and blog optimization strategies and tactics available to every business. A "lead magnet" is something you offer in exchange for your buyer persona's contact information. The most common lead magnet is an eBook, but lead magnets can range from resources like a guide or whitepaper to events like a webinar or consultation. The term "lead magnet" is used interchangeably with "Offer." You don't have to give away a free lead magnet to grow your email list, but it will take MUCH longer without one. The key to offering a tempting lead magnet is to offer something ultra-specific. Solve a specific problem. If you really want to up the value of your lead magnet and increase conversion rates -- provide a solution that your leads can put to you use immediately. People are busy and your lead magnet might end up in the "things to do" pile that never shrinks. Quick wins motivate people to take action and it makes them more interested in what else you have to offer. If your lead magnet doesn't offer value to your prospects, they aren't going to give up their contact information to get it. Releasing a low-quality lead magnet is a complete waste of time because it won't generate very many leads and it only makes your brand look worse. Your lead magnet should address a specific interest or need for your Buyer Personas -- the more specific and actionable, the better. Your lead magnet should complement a product or service you sell because in addition to helping you acquire new leads, the lead magnet also serves as a step towards a purchase. For example, HubSpot offers free marketing resources that complement their marketing software because the people who purchase their software need to understand Inbound Marketing best practices to be effective and get the most from their (eventual) purchase. Finally, you want to create lead magnets for specifc points in your marketing funnel. This way, a prospect can get several useful lead magnets as they move closer and closer to making a purchase. As they go further down your funnel, you want to offer them a lead magnet that is relevant to the right people at the right time. A CTA is an image, button, or message that calls website visitors to take some sort of action. When you're building your email list, you're calling your website visitors to complete a form to receive your lead magnet. In our blog post, CTA Best Practices: How to Push All the Right Buttons With Your CTAs, our Content Marketing Manager, Ramona Sukhraj shared five crucial tips for creating persuasive CTAs. Your CTA exists to get your prospect to take a specific action, but it also needs to make it tempting to perform that action. That's why your language needs to communicate both the action and the benefit. The more descriptive you are relevant to the offer, the more effective the CTA. 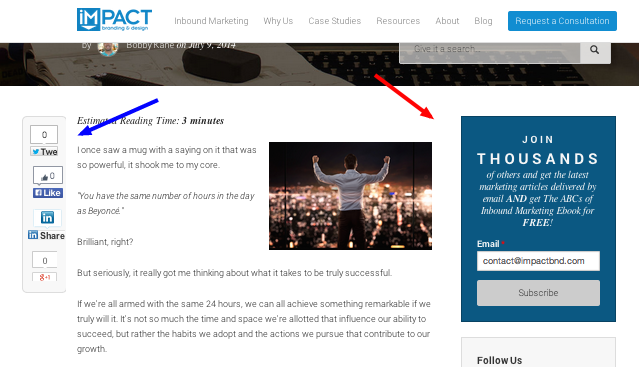 When prospects see this type of copy on CTAs it forms a better mental connection to the action they're taking and the Offer they're receiving. The messaging in your CTA should be consistent with the content within your offer and the content where the CTA is located. For instance, if your CTA is at the end of an article titled "16 ways to boost your SEO rank on old content" and you want people to download a premium guide about SEO, don't simply say "Download Our Free Guide." Make your CTA read something descriptive and reminiscent of the content above like, "Boost your SEO Rank even further with this free guide." The more consistent your CTA is with the content your prospect just consumed, the more interested they will be in your lead magnet offer. 3. Stand Out From the Crowd! Although you probably pay attention to every detail of your website, the average reader won't. Your CTA needs to stand out on the page or no one will even notice it. Size: A bigger CTA will stand out more, but don't take it too far or people will ignore the CTA because it looks more like a permanent banner than a relevant offer. Contrast: One of the easiest ways to make your CTA jump off the screen is to use colors that contrast with the other colors on your website. Image: High-quality images help your CTA stand out because images are more engaging and help your prospects visualize what they're getting. 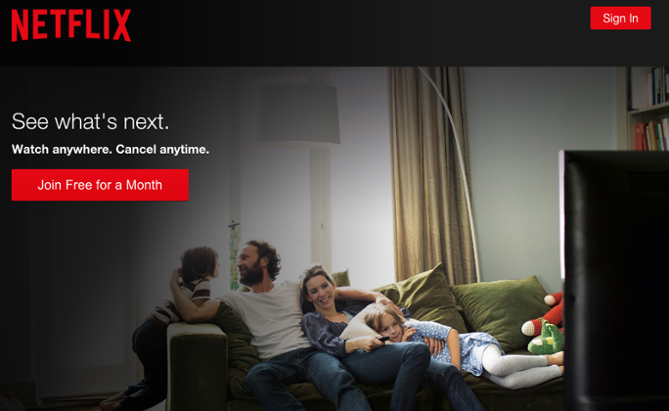 As you can see from the example below, Netflix has mastered the art of reducing friction by making it extremely easy to try their service. Take a look at these 30 CTA examples to get inspiration for your company's website. A form is a box where your leads input their contact information and sign up to your email list. Forms are usually hosted on a landing page but are often placed in a sidebar or appear as a pop-up. The quality of your form is crucial to seeing high conversion rates, yet it is often overlooked. Minimize friction. It’s a good idea to use fewer form fields – the general rule of thumb sweet spot is between 3 and 5 fields. Also, cut down required fields. If you are unwilling to sacrifice data precision over conversions, consider dividing your form into several steps. Ensure you have a strong call-to-action. This refers to both your design and your copy. “Never Submit” says the Unbounce team. As you can see in the infographic, the most compelling text formulas for the button would be “Click Here”, “Go”, “Download” and “Register”. Don’t be afraid to super size the button, and give it an attention-grabbing, positive color (orange, green, blue). While it's not a complete make-or-break factor, placing the form above the field generally results in higher conversion rates. The idea is that people see the form immediately when the page loads without having to scroll down. Use a two-step opt-in. 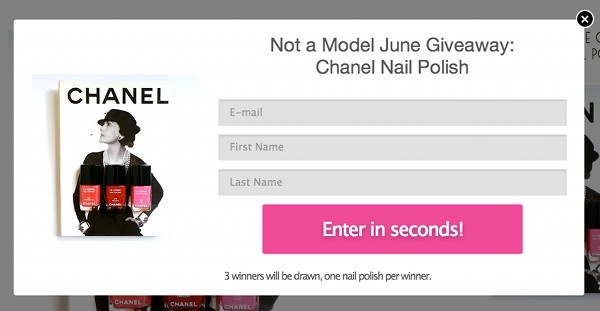 The two-step opt-in is a tactic where you use a CTA that triggers a pop-up form, requiring the prospect to first click the link and then complete the form. Take a look at this gif from Pat Flynn to see it in action. Are you feeling overwhelmed with information? You don't have to worry about creating the most state-of-the-art lead generation system on the planet -- keeping it simple is often the best approach. 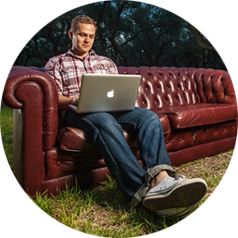 ConversionXL is the perfect example of keeping it simple, but executing well. I suggest following a model similar to theirs if you're just getting started and want to make sure you've got a solid foundation in place. What do you notice about their homepage? Look at the copy in their CTA -- do you want to be an amateur or an expert? The about page and other key pages on their website are all designed with lead generation in mind. Although the homepage is important, most people aren't going to convert right away. They need a chance to look around and decide whether they trust your brand or not. When they decide they're ready, you want to make it easy for them to subscribe -- no matter where they are on your website. ConversionXL even keeps the design of their eBook lead magnet simple. The reason this works is the information within their eBook is high-value. Your company might prefer to add more visual appeal, but the point is your lead magnet doesn't need to be complicated or fancy -- it just needs to be valuable to your buyer personas. Don't forget about your thank you page. Once your prospect has converted to a lead, you want to make them feel welcome and reassure them that giving your company their email address was a good decision. On the ConversionXL thank you or "success" page, they provide a quick link to their eBook, allowing their lead to immediately dive into the material. They've also provided links to a relevant blog post and a list of tools their lead might need to put the information from the ebook to use on their website. Peep Laja, founder of ConversionXL, uses this tactic to also get new leads to follow him on Twitter. Once you've got the best practices figured out and implemented you should see your email list steadily grow. If you want to 2X, or even 10X, your blog subscribers in a short amount of time, you'll have to get a little more advanced. 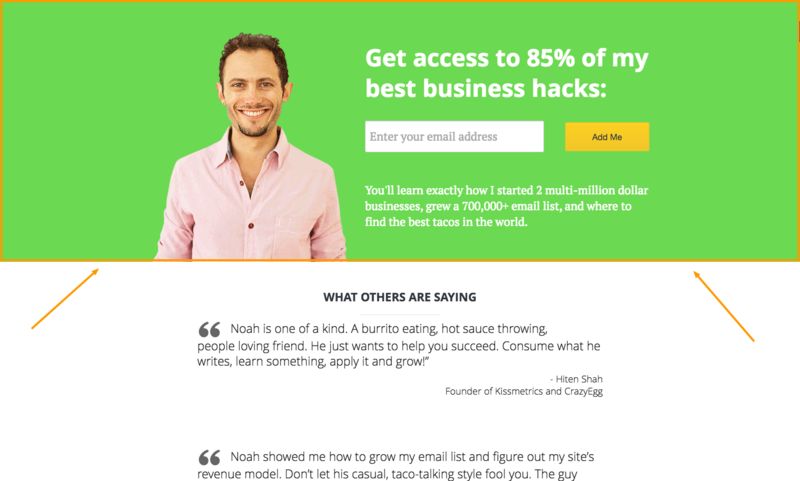 Experiment with "exit intent" pop-ups, slide-in CTAs, light bars, etc. The following case studies will show you exactly how others have grown massive email lists in a short amount of time. This case study shows how Marina De Giovanni launched her fashion and style blog, Not a Model, with a contest and got close to 20,000 blog subscribers in less than two months! Below is an excerpt with the key takeaways from Marina's approach. The first thing I said to myself when I first visited Marina’s Facebook page was, “Good name!“. The “Not a Model” brand is memorable and you instantly know what it’s about. I imagine this would “click” with a lot of people. Marina was giving away a $300 bracelet every month to an email subscriber. This is a good quality giveaway that her audience would recognize as valuable. Here’s how you can do that with a free eBook as opposed to a product. Marina has combined a self-hosted website with an email opt-in form that is then promoted with Leadpages and Facebook Ads. It might be complicated for some but the combination has worked exceptionally well for her." The first thing she did was make everything as simple as possible so her prospects had zero questions or confusion along the way. Take a look at this screenshot from one of Marina's landing pages to see this in action. Notice the CTA copy -- "ENTER IN SECONDS" -- Marina removes obstacles by making everything feel easy. Marina also made sure the copy, images, and overall style remained consistent with all of her forms. Another valuable tactic Marina used was adding video to the top of her sales page. Not only is this more personable, it allows her to explain the contest thoroughly without making the prospect read a long page. She then places a CTA button right below the video and actively points to it during the video. This case study shows how Jimmy Daly, head of content marketing at Vero, was able to generate over 1,000 new blog subscribers from one piece of content. Jimmy provides value. The post is over 5,000 words, it covers a wide range of topics, and he provides original content, as well as information from experts. The post is designed beautifully, making it easy to read, while also being optimized for conversions. 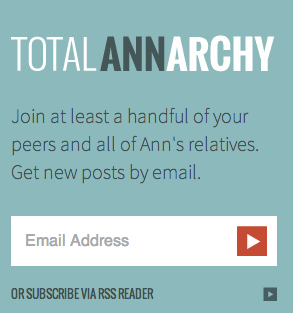 The post has actionable tips, useful links, and tons of images. In this case study, Alan Perlman uses a giveaway campaign to nearly double the email list of UAVcoach. 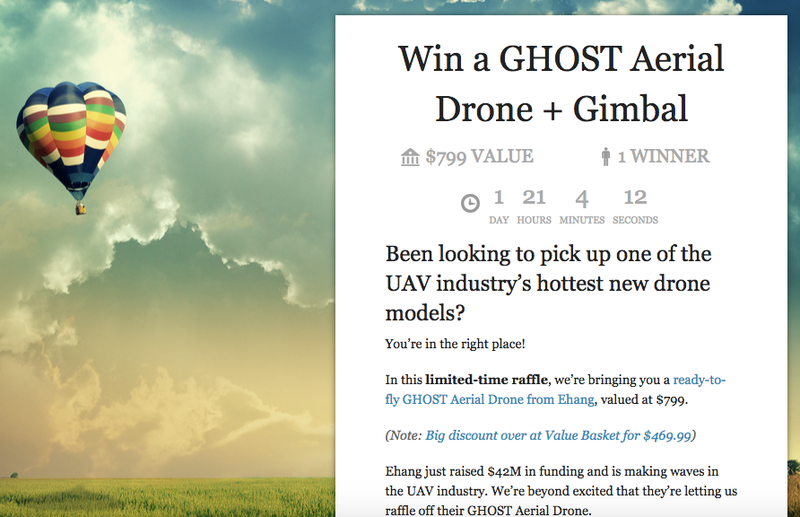 In this particular contest, Alan gave away a free drone valued at $799! The key to creating a viral contest is having a valuable prize that your buyer persona wants, and more importantly, one they can actually receive. If you offer a free ticket to an event, they might not be able to attend. Growing a massive email list of loyal blog subscribers comes down to executing the fundamentals and optimizing your way to higher conversion rates. Of course, a viral article or giveaway thrown into the mix can only help! When getting started, focus on creating a lead magnet with tremendous value to your buyer persona and making it as easy as possible for them to download it. Once you've got a system in place and you're generating leads, it's all about refining that system to maximize conversions. After you've fine-tuned everything, your business is in a position to generate a ton of leads from everything you do that gets more eyeballs on your brand.